My son and I, attended a 3-day intensive seminar of lectures and practical held by Professor Andry Vleeming at the Anglo-European College of Chiropractic. My son is now in his second year of 5 years at the AECC. A specialist with more than 20 years of research under his belt on lumbopelvic pain, Vleeming started a 400-hour lectureship when he was only 26 years old! 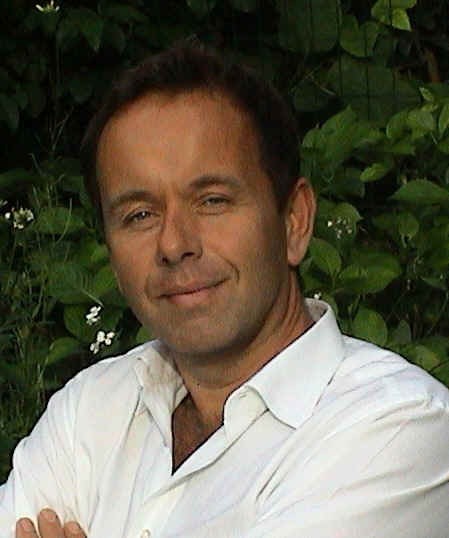 He wrote the European guidelines on Pelvic girdle pain (European guidelines) and is Chairman of the World Congress of Low Back and Pelvic Pain (www.WorldCongressLBP.com), an event held every 3 years that brings together the minds of the world’s experts on low back pain. This global congress invites practitioners, academics, researchers and policy makers from all continents and from clinical areas as wide ranging as medicine, physiotherapy, chiropractic, biomechanics, osteopathy, manual therapy, exercise therapy, myotherapy, orthopaedic, neuro-surgery and sports medicine. The 8th Congress was held in Dubai last year, so we plan to attend the 9th Congress in Singapore in 2016 to hear the latest research and breakthroughs in treating and managing back pain. Vleeming reiterated that the sacro-iliac joint (SIJ; the joint between your pelvis and your sacrum) is interconnected with your spine. If your spine is twisted this twists your pelvis. If your pelvis is twisted this twists your spine. 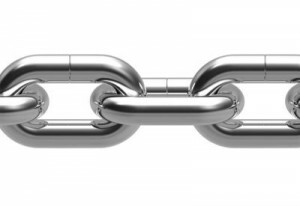 Think of your body as a very complex chain, if one of the links is twisted, this has a knock-on effect on all of the other links. 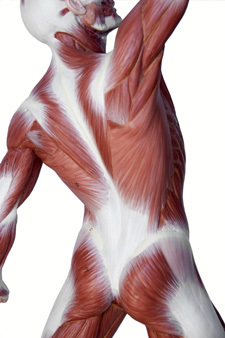 The muscles of your body are linked together by fascia (white connective tissue; the white stuff). This separates muscles (the red stuff) according to their function, allowing specific movements. These muscular systems can be likened to slings. For example, the posterior sling (from your shoulder all the way down to your pelvis), links your latissimus muscles of your shoulder to your lower back and pelvic muscles. 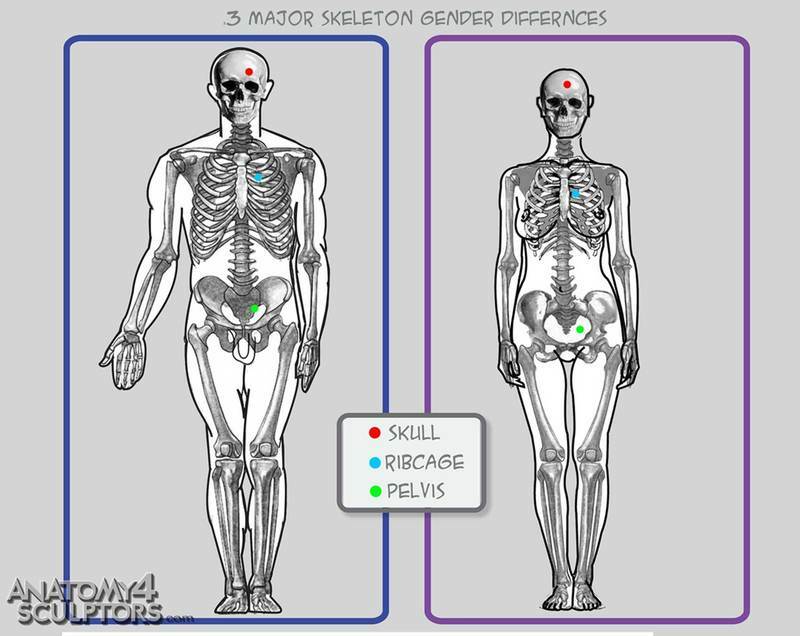 As the body doesn’t exist as separate muscle, addressing dysfunction in a higher area of the body (shoulder) can affect a lower part of the body (pelvis), due to the connective tissue linkages. The connective tissue (fascia) allows a group of muscles to work together to accomplish a task, thus sharing the load between themselves. By sharing the load this stops a single muscle from becoming overworked. When we become injured, some muscles switch off, leaving fewer muscles to complete the same job. These muscles take all the brunt, become tight, stiff, and often painful. It can be likened to an orchestra with only a few of its players to create the same symphony. Without players in this muscular orchestra, the few players must compensate for the others, this creates a different kind of symphony, what chiropractors call a “compensatory movement pattern”. We move differently to compensate for the muscles that are no longer working well. From twisting and muscle imbalances we get faulty movement patterns that become entrenched, which leads to weakness and injury. For example, weakness and atrophy of your muscles in your lower back. Through disuse, these muscles become infiltrated with fat. Gradually the fat replaces the muscle! 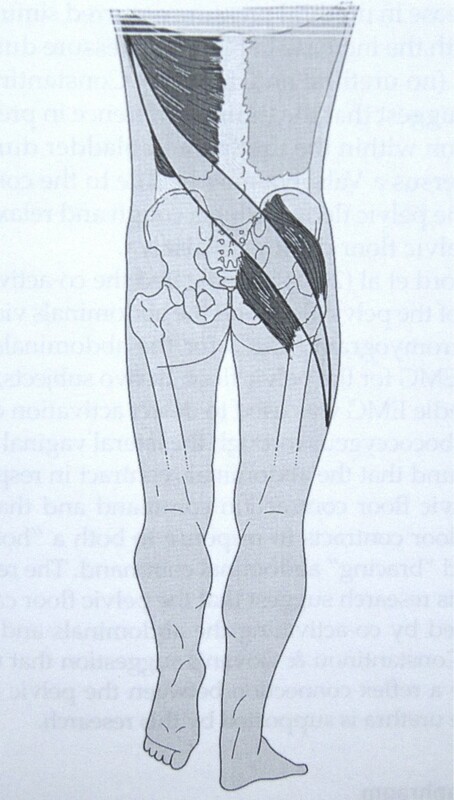 Loss of this precious muscle (multifidi) in the low back is strongly associated with having low back pain. The MRI below shows more and more fat (white) and less and less muscle (from left to right). “If you don’t use it, you lose it”; this is why rehabilitation exercises are so important and a valuable component to complement chiropractic treatment. People tend to stiffen up other areas to compensate for weak areas. You can see this in the way they hold themselves and move along, they become rigid. Their rib cage and chest moves upwards, hunching of the shoulders, and tightening of the gluteal muscles. This is not just the elderly population, everyone does it after injury unless the compensatory movement pattern is corrected. This can be corrected earlier before you become progressively stiffer. With this stiffness, we start to avoid certain movements as we fear that these movements will cause us pain again. We are afraid the movement might hurt us. The SIJ is the centre core of many problems, which is why we treat this joint on a daily basis. Though it only moves 1.5mm, this is enough to create a big distortion in the spine because it forms the base and foundation of the spine. 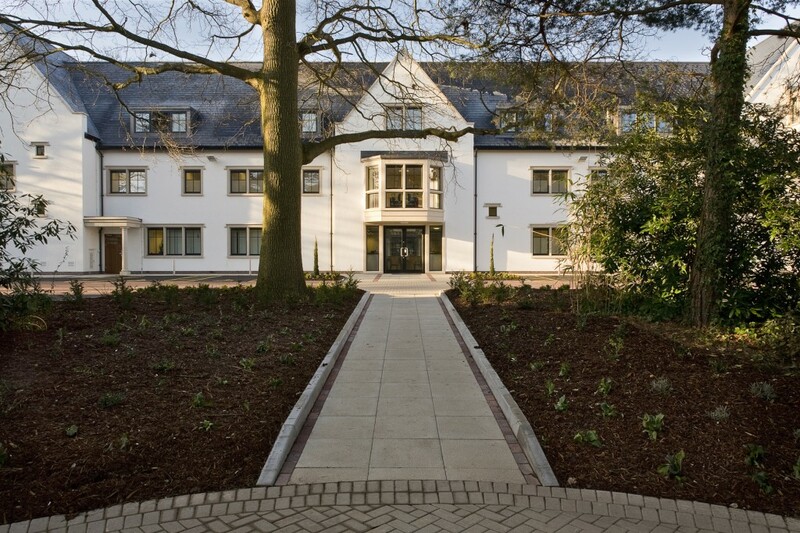 The new AECC clinic opened in 2009, it houses 34 treatment rooms, a high-tech functional exercise and rehabilitation centre, diagnostic ultrasound, x-ray and fluoroscopy, OSMIA, and is currently installing a brand new Upright Open MRI scanner.